Individuals will often join a not-for-profit board with the intent of focusing on their strengths to help further the mission of the organization. These strengths are also what made the individual stand out to the organization in the board recruitment process. While each individual board member has different strengths, it is imperative that each member understand the necessary oversight that is inherent with a position on the board. This oversight includes the strategic, legal, and fiduciary responsibilities of the organization. The purpose of this article is to focus on improving financial oversight of board members. A board needs to perform a periodic evaluation of its own performance. When a board has a nominating committee, this should be one of the key responsibilities of the committee. Board members should be asking what the non-for-profit needs from its board to help advance the organization’s mission in both the present and the future. Board members should evaluate their skills, experience, and expertise to determine if there are any gaps. If there is a gap in financial expertise, filling that gap with an individual does not remove the financial oversight responsibility from other board members, but provides them with a solid resource to help strengthen their own knowledge and understanding of financial matters within the organization. Once a board has determined a need, it is important for the board to take the time necessary in recruiting for the position. The board should consider individuals who have provided volunteer hours for the organization in the past. These individuals have already expressed a desire to help with the mission of the organization. If there are no easily identifiable candidates within this initial pool, it is important to provide individuals who do fit the need with volunteer opportunities. Providing candidates with volunteer opportunities will not only allow you to find out their interest in the organization but it could also help them cultivate an interest by getting to know the mission and other people involved in the organization. If you provide someone with volunteer opportunities and they do not participate, then it directly reflects on how they would participate as a board member. If it is important for board members to attend certain events held by the organization, candidates should be invited to these events to see if they are able and willing to attend. There is a chance that individuals will be more likely to attend when it is expected of them as a board member; however, that will not always be the case. Mission and history of the organization. Bios of current board members and key personnel. Board member job description and expectations. Conflict of interest policy and questionnaire. Recent financial reports and audited financial statements. Bylaws and certificate of incorporation. Determination letter from the IRS. Summary of directors’ and officers’ insurance coverage. Policies relating to board’s role to review compensation of CEO and/or executive director. Board travel reimbursement policy and forms. Calendar of meetings for the upcoming year. The board may consider providing new board members with a veteran board member to serve as a mentor to that individual. That mentor may be the one who provides most of the information discussed above and creates a comfortable dialogue for questions and concerns that may come up during their board service. Remember that clearly communicating expectations to new board members is key to a solid board service experience. Ensuring appropriate controls are in place. Ensuring all legal requirements are met. 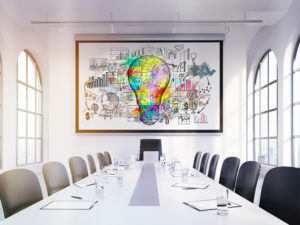 The board should consider providing trainings to board members as part of the regularly scheduled board meetings or through separate meetings. These trainings can be provided by the financial experts on the board or finance committee, your current CPA firm, or another CPA firm. Board members should also be encouraged to obtain training on their own for any specific areas they need to improve. The board should consider implementing a financial reporting dashboard that includes the financial ratios that are most important to the organization. Members of the board should then be educated on how those ratios are calculated and what an acceptable range is for each ratio. If board members know how to calculate the ratios and what ranges are acceptable, it will be easier for them to see if the organization is operating within acceptable guidelines. Each quarter, the board should be reviewing a budget to actual variance analysis. This analysis already provides board members with an expectation for the organization’s financial statements. They do not need to have a strong financial background to see when the organization has spent more than what was budgeted. Board members also need to be active in the budgeting process. They need to compare the proposed budget to the prior year budget to actual analysis and gain an understanding over any unusual swings in budgeted amounts. Board member should also be cognizant of the expected change in net assets. If the budget results in an overall decrease in net assets, board members should ensure they understand why and are comfortable with the rationale. What do you do with board members who will not do anything? The first thing to consider is whether expectations were made clear to board members in their recruiting and orientation process. It is also important to consider how often the board reviews the expectations and responsibilities. Boards should consider reviewing expectations annually. If the organization has a board member agreement, these should be renewed annually to ensure responsibilities are not forgotten. If there is no board member agreement, the organization may consider creating such an agreement for its board members. Boards need to evaluate whether the problem is temporary or long-term. Temporary problems are board member specific. Does the individual have any health concerns or other personal matters that are temporary? If so, is there a short-term strategy that can alleviate this member’s responsibilities until the matter is resolved? Can certain responsibilities be transferred to another board member in the short-term? The board should hold a discussion where expectations are reconsidered, reaffirmed and stated clearly. The board should explore whether the individual has the time to be an active board member. If the problem is temporary and the board member has a solid history with the organization, the board should consider working with the individual to help them return to the prior service level. The board should also consider whether the problem is with the position itself. The board may consider holding a discussion in a board meeting to determine what makes it difficult for members to participate. Consider whether participation on the board is meaningful to board members and if anything can be done to make engagement more meaningful. Finally, the board may need to revise what is expected of board members. The board may consider a reallocation of responsibilities between different board positions. The best way to ensure appropriate financial oversight from board members is to clarify what is expected of them and provide them with the knowledge and resources to meet the expectations. Clarifying these expectations is most efficient when an individual first becomes a board member. However, such expectations should be reviewed and renewed at least annually.